As the weather changes, our laundry habits have to adapt to accommodate the shift from summer to the autumnal and winter months. With these quick and easy tricks, your washing will be done in a breeze, allowing you to get on and enjoy making precious winter memories. Removing creases is as simple as placing ice cubes in your dryer with wrinkled clothing for around 15 minutes. The heat from the dryer will melt the ice cubes, creating steam that will help the creases drop right out. Not only is lavender oil a great scent for use in an aroma diffuser, but creating a simple lavender oil and water solution (one teaspoon of oil to one litre of water) will relax the fibres in your clothes, allowing them to simply drop out. Adding a couple of drops of lavender oil to your washing cycle for bedsheets will also give them an extra fresh scent that promotes a better night’s sleep. When you are faced with the issue of odorous sportswear that can’t be washed (such as helmets and protective guards) or jeans that have a bit of a whiff when you pull them out of your wardrobe, simply place them in a zip lock bag and leave it in the freezer overnight. The icy temperature kills the odour causing bacteria, leaving your un-washable garments fresh and clean. Chalk and baby powder are great for absorbing greasy stains. All you have to do it rub it on at the point of staining and it will be much more easily removed when you come to wash it. 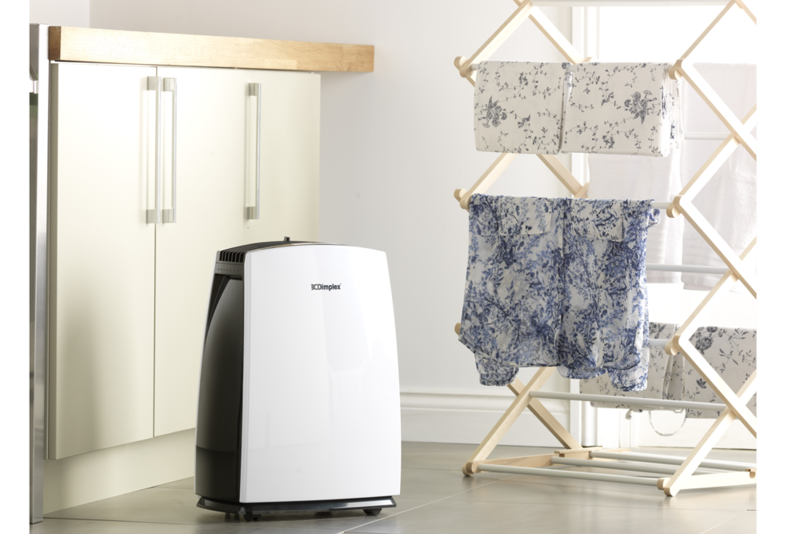 Dehumidifiers work by pulling air in, running it past a cooling coil that removes the moisture and releasing it back into the room. As we start to bring our washing inside to dry, these are great to speed up the drying process. Our Forte FTE Series even features a laundry setting, giving you optimal drying results. As with all tip recommendations, we suggest trying these on an inconspicuous area of your clothing beforehand. Follow our Facebook and Twitter pages for more home and cleaning hacks to make your life easier.